One of English football’s most sustainable and successful academy models, Reading Football Club have now successfully graduated 33 players to the first team. The past year has been one of the most turbulent in Reading’s recent history. Following relegation from the Premier League in 2013 the Reading fans have seen an owner go AWOL, players sold to cover tax bills and a frenetic search for new investment. Yet amongst the chaos there has been one constant at the club, the youth academy. While Reading were languishing in the third tier they moved from Elm Park to the newly built 24,200 capacity Madejski stadium in 1997 and two years later the club were granted Academy status by the FA. They were part of ambitious plans by Auto Trader founder Sir John Madejski for his hometown club, which he saved from financial ruin in 1990. The early development was overseen by former goalkeeper Nicky Hammond, now Director of Football, and after four years as Academy Manager he moved to his current role, being replaced by Exeter City manager Eamonn Dolan. The Irishman has been in the job since October 2004 and this continuity in the management of the academy has been one of the key aspects to its success. When the FA launched the Elite Player Performance Plan in 2012 with a four tier academy system, Reading decided to build a new training ground to meet the criteria for Category One Status. It was a bold move as the redevelopment cost around £15m, a significant amount for a team of Reading’s resources, but the work meant that Category One status was granted by the FA in July 2013, one of only 22 clubs in England to achieve this. To understand the progress of the club off the field it is important to focus on the results on the pitch over the years. A successful return to the Championship in 2002 was almost followed up with a second consecutive promotion. However the Royals were defeated in the play-off semi-final to Wolverhampton Wanderers. Alan Pardew’s defection to West Ham early the following season led to Steve Coppell’s arrival and, in 2006, Reading finally reached the top flight for the first time in their history, doing so in style, breaking the record point’s total, with 106 points and 99 goals. Despite a lack of Premier League experience the team, including Graeme Murty, Ivar Ingimarsson and Steve Sidwell, secured a remarkable 8th place finish. However, it proved to be a case of the second season syndrome the following year as the Berkshire side slipped back into the Championship. An immediate return was thwarted by Burnley in more play-off heartache. Coppell resigned shortly after and key players began to leave. It was the end of an era and a closing chapter on the finest period in the club’s history. The summer saw former youth team coach Brendan Rodgers take the hot seat at the Madejski Stadium. Rodgers’ previous work with the academy at Reading saw him headhunted by José Mourinho at Chelsea in 2004. What was seen as the ideal appointment went badly wrong. The playing style, with which Rodgers has now become synonymous, didn’t work as the players and fans had been familiar with a more up-tempo method. A dismal set of results and performances led to Rodgers being dismissed before Christmas. One positive from a largely unsuccessful tenure was Rodgers introducing a number of Academy graduates, who were familiar to him from his previous role, into the squad. The likes of Alex Pearce, Jem Karacan and Simon Church managed to settle into the first team making regular appearances following loan spells in the lower divisions. Since making their first steps into the first team the graduates became crucial and regular members of the squad. The appointment of Brian McDermott recovered a demoralised side to a top half finish, alongside a memorable cup win at Anfield. Perhaps the most successful graduate from the Reading academy has been Gylfi Sigurdsson. Signing for the Royals from his native Iceland at the age of fifteen, Sigurdsson progressed to the first team where his personal performances, in what turned out to be his only full season in a Reading shirt, were highly impressive. A haul of 20 goals led to interest from a number of clubs with Hoffenheim ultimately agreeing to take him to Germany for £8m, a record transfer fee received. The following season Reading reached the playoffs again, culminating in a Wembley showdown with Swansea City, managed by none other than Brendan Rodgers. The Swans won 4-2 with a hat-trick from Scott Sinclair. The Reading squad that day consisted of five home-grown players, as well as Shane Long, who came to the club from Cork City as a raw 17-year-old. The new season saw a hangover from that defeat and the departures of Long and Matt Mills. Off the pitch it has been no secret that Sir John Madejski was looking to sell the club for a while when Anton Zingarevich purchased the club in 2012. He is the son of paper tycoon Boris Zingarevich, once rumoured to be interested in purchasing Everton. Foreign investment in football is usually viewed with some scepticism but the Russian had links to the area having studied at Bearwood College. The sale was agreed and Thames Sport Investment (TSI) purchased 51% of the club from Madejski for £25m, with the formality of purchasing the remaining stake the following year. The financing of a move for Jason Roberts gave the club strong impetus in the second half of the 2011/12 season, which ended as Reading being crowned champions. Despite one of the smallest budgets, investment was made, including Pavel Pogrebneyak, reportedly for £30,000 per week, but for a club of Reading’s size they were always favourites for relegation. These fears were realised and the Royals struggled. It did, however, give the academy graduates a first taste of Premier League football. Alex McCarthy usurped Adam Federici to the number one jersey and played his way into the national team with his performances, the young goalkeeper becoming the first academy graduate to be selected for the England squad. After promotion, striker Simon Church saw his first team opportunities decrease and left in 2013. He made over 100 appearances for Reading, scoring 22 goals. Now at Charlton, he has also been capped 26 times for Wales. After Reading were demoted it appeared money would be spent to return to the Premier League at the first attempt as Royston Drenthe and Wayne Bridge were bought in, however the September deadline for Zingarevich to purchase the remaining 49% stake in the club passed. His wife had given birth to their first child earlier in the year and it was rumoured Zingarevich was back in Russia. Madejski was left to search for alternative investment in the club with various consortiums and individuals from around the world reportedly interested. These issues overshadowed Reading’s return to the Championship with the side just missing out on the playoffs, despite the confusion of an embarrassing pitch invasion on the final day of the season. One bright note was the emergence of Jordan Obita, returning from a loan spell at Oldham in 2013. The young winger, who joined the club aged eight, was converted to left back after injury to Wayne Bridge and has since thrived in the position. He won the club’s player of the year award following Sigurdsson and Pearce in 2010 and 2011, respectively. 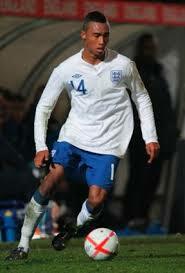 The successful season was capped off by representing England Under-20s at the Toulon Tournament that summer. Despite the success of previous groups, perhaps the best is yet to come. Last season, the Under-18s reached the Youth Cup semi-final for the first time in the club’s history. Along the way they defeated Liverpool before succumbing 5-4 on aggregate to a Fulham team including Moussa Dembélé and Patrick Roberts, who had already featured in the Premier League. Both legs of the semi-finals were televised with the youngsters giving a good account of themselves under the guidance of Dolan and club legend Michael Gilkes. The U21s managed to go one better, winning the inaugural Premier League cup, featuring all teams with Category One status. They beat Arsenal 3-1 in the semi-finals before overcoming Patrick Vieira’s Manchester City side 4-3 over two legs. This summer striker Adam Le Fondre was sold to Cardiff for £2million to pay for a tax bill. In this time there was little explanation from the absent owner as to his intentions for the club. As the situation looked increasingly bleak a Thai consortium, led by businesswoman Khunying Sasima Srivikorn purchased the Berkshire side from Zingarevich and Madejski. One player who has come full circle is Simon Cox, who had to leave the Royals in 2008 due to lack of first team action. His journey took him to rivals Swindon Town where he scored regularly. 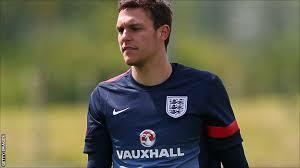 He then made a big money move to West Bromwich Albion and an opportunity at Premier League football. At 27, Cox left Nottingham Forest this summer after two years at the City Ground to return to his hometown club a decade after starting his journey as a professional footballer with the Berkshire side. With the departure of Jobi McAnuff in the summer, Reading needed a new club captain. 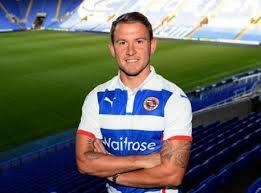 The favourites for the role were Sean Morrison, who had stood in last season or experienced midfielder Danny Guthrie. However Nigel Adkins decided to opt for Jem Karacan. Having joined the club at 14 and progressed through the youth teams, he had been in Berkshire for over ten years. After a successful season for the respective youth teams, the players have now taken the next step and progressed to the first team ranks after a number of senior professional were released. Adkins has spoken of integrating these players and said, “there’s nothing better for supporters than seeing home grown players in the team”. 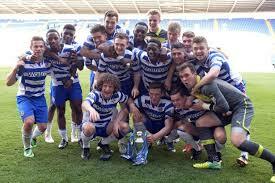 The result has seen Ryan Edwards, Craig Tanner, Jake Cooper, Jack Stacey, Aaron Kuhl, Aaron Tshibola and Sean Long make their debuts for the Royals, meaning that despite being less than a month old, it has already been the most productive season in terms of academy debutants. 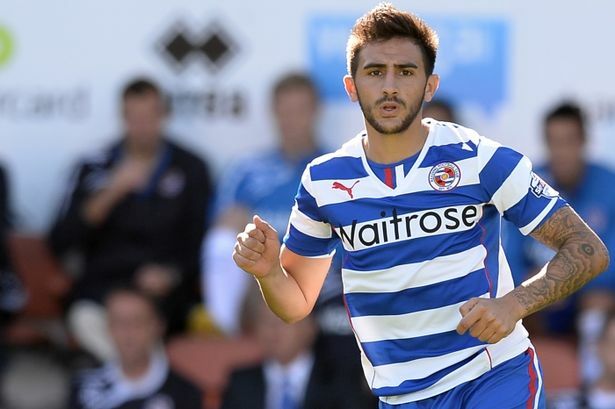 Long’s substitute appearance at Scunthorpe made him the 33rd graduate to play for the first team at Reading. Credit for the approach taken must go to a number of people, not least John Madejski who took the decision to invest in the academy. His vision has come into fruition first through Nicky Hammond and now Eamonn Dolan. Despite the difficult situation at the club and rumoured interest from Leeds United when they were looking for a new manager, Dolan remained loyal to the club. With new players coming through and acknowledgement of a strong tradition of developing talent which has been embraced by all at the club, including fans, it looks like the success will be replicated in one of English football’s most sustainable youth models. In a new feature on the site is a collection of interviews with various websites which cover football in specific areas of the world. Hopefully this will give an insight into the work of people who share their knowledge of the game. Part 1, with Bundesliga Fanatic, can be found here. Part 2 with Scottish Soccer Show, can be found here. Part 3 with Caribbean Football, can be found here. The latest Q & A is with Escape to Suomi, who are also on Twitter. 1. Tell us a bit about yourself/the team/contributors? My name is Rich Nelson, I’m 34 years old and based in South West London. I have a full time job, and have no aspirations to be a journalist, so it’s just me doing the blog. I do get a lot of help from both family members in Finland and some people I’ve met through doing the site. So far I’ve only had a couple of guest articles, but would like that to grow. I’d love to do more myself, but it’s just finding the time. 2. How did you first get interested in football from the region you cover? When I first started visiting Finland with my wife (who is Finnish), I saw a couple of games and enjoyed it as an alternative to the English team I support. While perhaps football isn’t quite the dominant sport as it is here, there are still groups of fans who are just as committed to their support and improving the atmosphere. 3. What inspired you to start your site? Whenever I came home from Finland, I’d find it nigh on impossible to keep up with what was going on, bar the results. Plus I’d done some football writing previously, and quite fancied doing my own thing with a proper purpose other than general stuff. 4. What is the purpose of your site? Mainly to provide an outlet for people to get into Finnish football in English and create a bit more of a community. It’s evolved since it started, where I started with specific topics and match reports. Now I don’t have as much time to write reports or long-winded updates. Mine is the only English site allowed to show the official highlights, so I showcase those. If a large event occurs, like a high-profile transfer or important international match, I’ll still do a proper blog for it. 5. Summarise your site in your own words. 6. How long has the site been running? 7. How has the site grown since you started? I’ve got quite a few followers on Twitter and it seems to be the most prolific outlet, although I do have a Facebook and Instagram page too. I’m probably not as good at plugging the site as other people; I don’t have the time or patience to go nagging people for retweets or endorsements. I do get a lot of feedback, which has become more common with the increase in readers and followers. 8. What has been the most popular article/feature on the site? 9. How do you keep up to date with the region you cover? I follow a lot of different people on social media and online, from journalists and the official organisations to fans and supporter groups. Some of Mrs ETS’s family members have been invaluable; I often get a text from them when something happens! My wife also helps a lot with translation of articles and TV programmes. Some of the matches are streamed online which helps as well. I try to go to Finland at least once a year, although that varies with work commitments. 10. What advice would you give to other football writers/bloggers? Be passionate about what you do. There are a million blogs out there, a lot of them are either cut-and-paste merchants or think that it’s easy to see a gap in the market and blag it. Note how many people suddenly become experts on lower-profile nations during World Cups for example. Don’t get caught up in how many readers or followers you have – if your site is interesting, that’s the important bit.